Liberals have this idea that Betsy DeVos is perfectly okay with young women being sexually assaulted on college campuses and is in fact encouraging young boys to have their way with any girl they want with no concern of consequences. They either believe this because they’re so brainwashed by their ideology of perpetual victimhood, or because it is inconvenient to their agenda. Either way, it is a dangerous falsehood to spew, but apparently some people are dedicated to the cause. Take Robert Ranco, for instance, who works as a civil litigation attorney for the Carlson Law Firm. 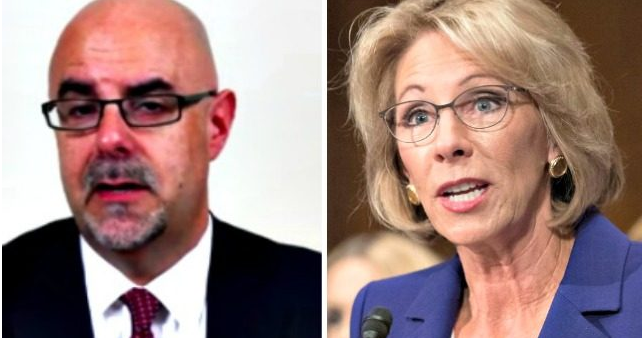 He thought it would be a wise choice to tweet his disgusting thoughts on Education Secretary Betsy DeVos on Twitter and quickly found out that it doesn’t pay to be a total cretin online. In response to the vitriol surrounding Betsy’s decision to look into Title IX policy that essentially allows colleges to judge the guilt of someone accused of sexual assault, which denies them due process under the law and can ruin their lives right from the start if they are falsely accused, Ranco decided to post a tweet in which he said that he would “be ok” if someone sexually assaulted the Education Secretary. The disgusting excuse for a “man” admitted that he was a father of girls who he claims are going to lead harder lives because of DeVos. Gee, I wonder how he would feel if someone said to him what he said to Betsy. I’m guessing he wouldn’t be okay with it, regardless of the circumstances surrounding the comments. Having someone’s well-being be none of your concern is different than actively saying that you would be perfectly fine with their sexual assault. That is when you cross a line into Screwedville, population you, bro. After receiving the expected backlash to his comments, this Texas lawyer decided to lock up his account. 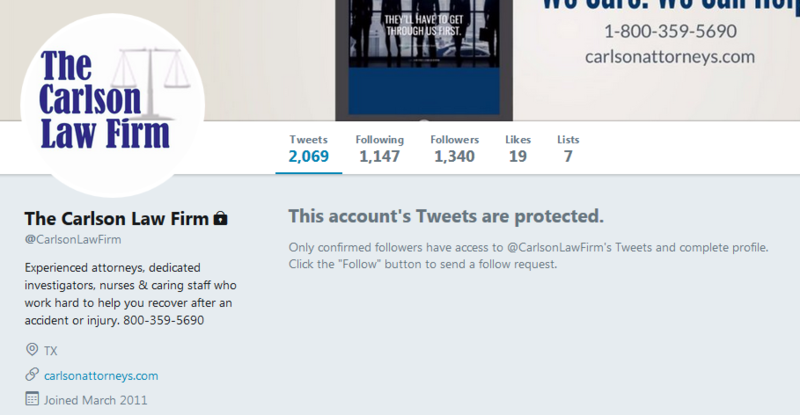 When the law firm he works for began feeling the heat of his comments, they locked up their account too. Apparently this wasn’t enough for Ranco, though, who later deleted his Twitter account. Unfortunately for him, the Internet remembers everything.